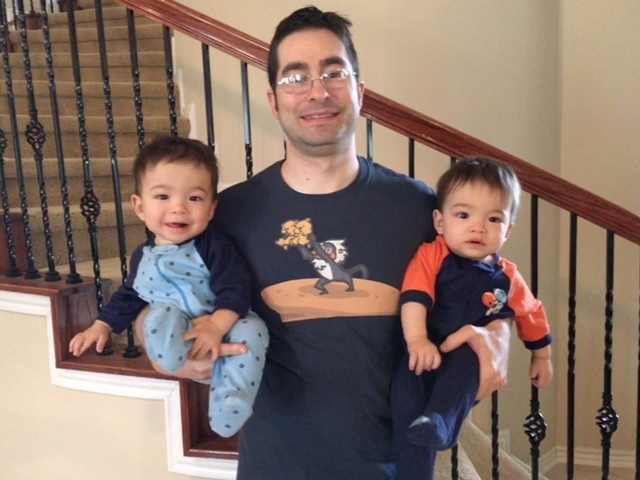 Need some help finding some father of twins gift ideas? You’ve come to the right place. Whether you’re shopping for Father’s Day, Christmas, Birthdays, or just to celebrate a milestone on your twin journey, you’ll find several father of twins gift ideas below for both expectant and current twin dads. 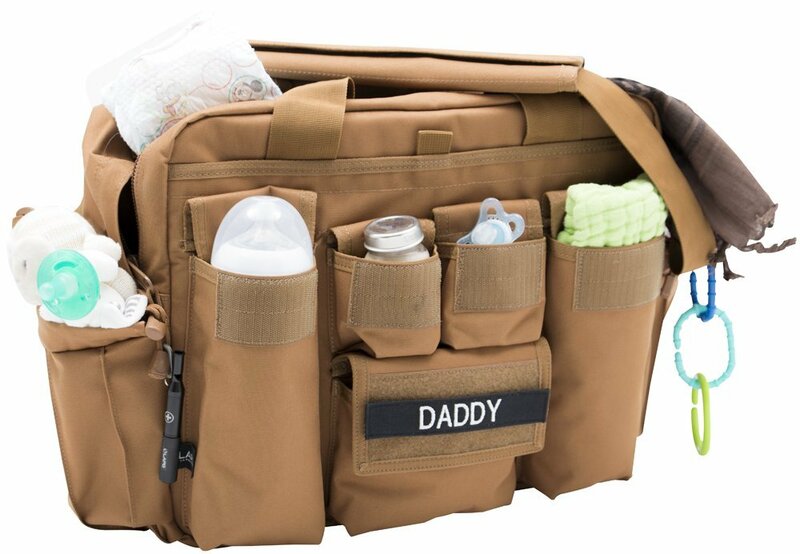 No dad likes to walk around with a flowery and feminine diaper bag. 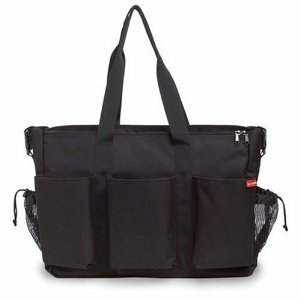 Get a diaper bag that both mom and dad can use like this Skip Hop Duo Double Diaper Bag. Nothing makes you feel more like a man and father of twins than carrying both your babies at the same time. 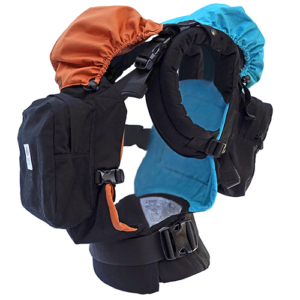 Get dad a twin carrier like the TwinGo Carrier and he can haul the twins around the house or when away from home. A new father of twins doesn’t know much of what he’s getting into. Arm him with the knowledge he needs to survive the rest of the twin pregnancy and hit the ground running. 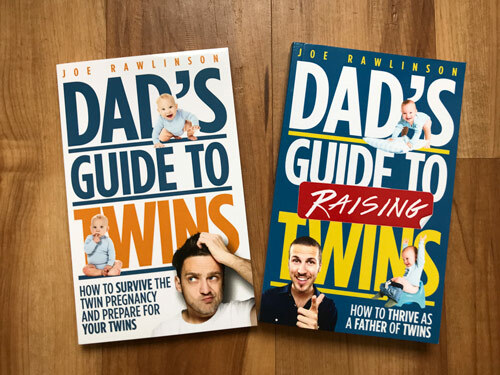 Buy daddy some good how-to books and even my very own Dad’s Guide to Twins or the Dad’s Guide to Raising Twins. The expectant father of twins is stressed out. He needs your help to get ready for the twins’ arrival. 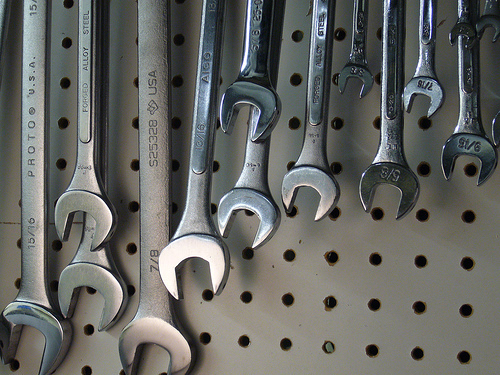 What tools does the expectant dad need for his twin preparations? 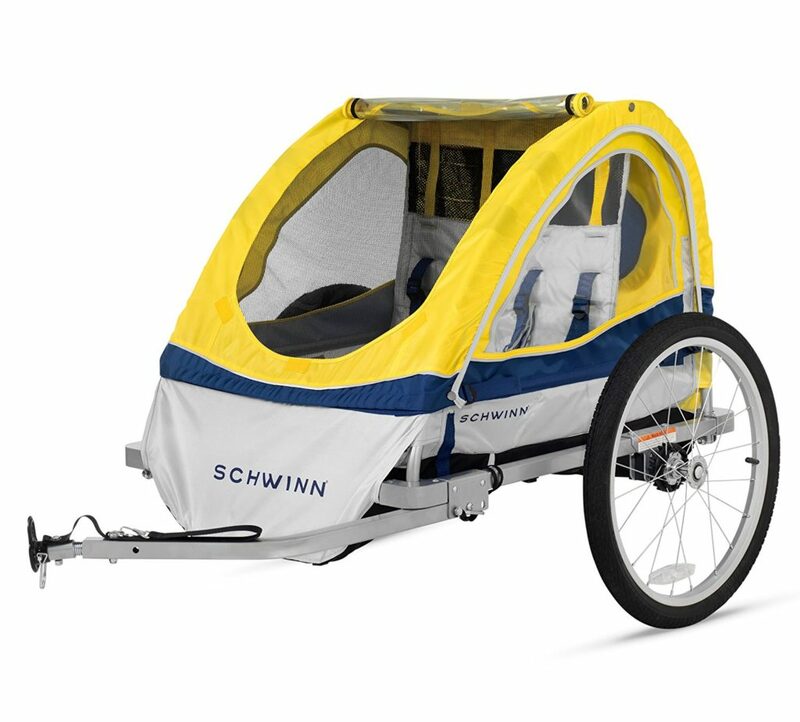 Think painting supplies for the twins’ room, power tools for crib assembly, or a new set of wrenches to assemble twin tricycles in the months to come. The soon-to-be-twin dad is spending tons of money already on his unborn twins and will continue to do so after birth. How can you ease his financial burden? Gifts cards, fully funded college scholarships, and even a membership to a warehouse club like Costco are great options. The twin dad has little or no time in his busy schedule. How can you give him the gift of time? Perhaps you can pay for someone to mow his grass, wash the car, or you could offer to babysit the twins so he can get out with his wife or work on a project that needs more than 15-minute spurts of attention. 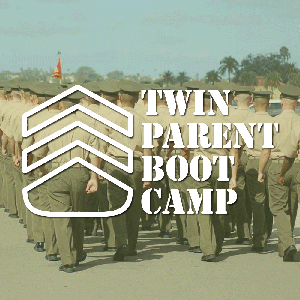 Sign Dad up for the Twin Parent Boot Camp. This online class for expectant parents of twins is a proven blueprint to prepare for your twins’ arrival, so you know exactly what to do, what to buy, and what you’ll experience with the birth of your twins and raising newborns. A father of twins must be properly fed if he is to have the energy to care for his growing family. 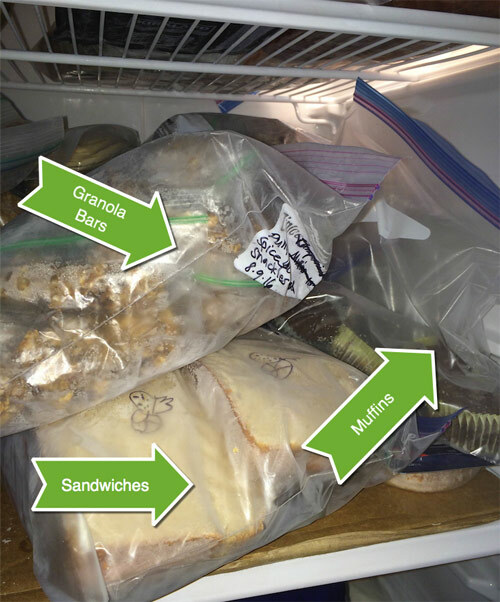 Host a freezer meal baby shower, take dad out to eat, go grocery shopping for the family, or bring over dinner one night. Every twin dad deserves a great night sleep. My wife and I love our DreamCloud Mattress. 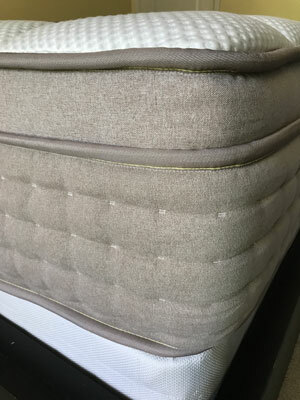 We’ve slept better since getting this new mattress than we have in the several years before. 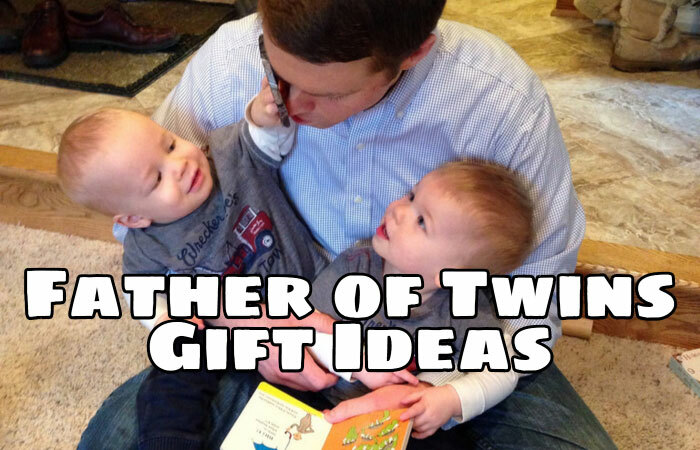 What are some of your favorite gift ideas for fathers of twins? Share in the comments below.